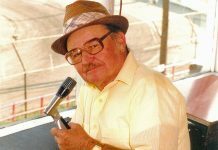 “The Snake”, “Fashion Frank” and “The Lynwood Leadfoot” were several nicknames of stock car racer Frank Gawlinski, who died Nov. 23 at the age of 71. Battling chronic health issues the past dozen years or so, Gawlinski was a front-running late model stock car driver from the Chicago area in the 1970s, ’80s and into the ’90s, especially at the now-shuttered Illiana Motor Speedway in Schererville, Ind., where he was the late model track champion a record nine times. 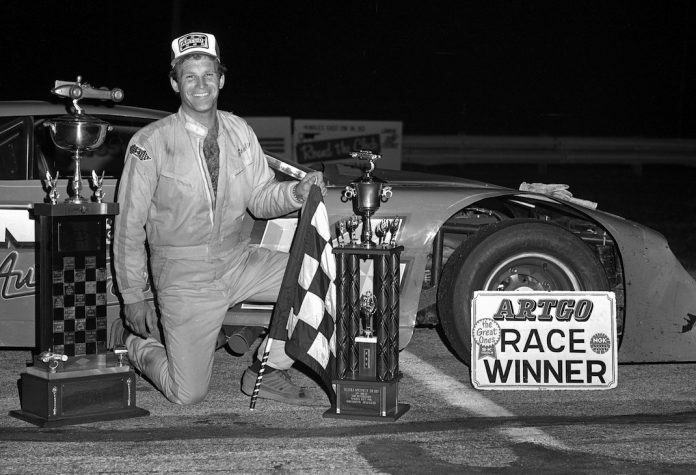 Scoring his first late model victory on July 4, 1978, during a night that he would win both holiday twin 50-lap events, Gawlinski would win 52 late model features at the tight quarter-mile paved oval during his career. In 1979, Gawlinski began to branch out away from his home base of Raceway Park, testing his skills at Illiana Motor Speedway and Grundy County Speedway in Morris, Ill. 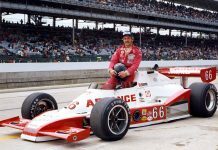 He won his first feature race at Grundy, the third-mile paved fairgrounds oval, on August 31, 1979. Gawlinski would win for the first time at Illiana in 1980, posting six feature wins and his first season championship at the half-mile paved oval in northwest Indiana. A $1,000/50-lap victory at Henry’s Speedway in Boswell, Ind., over Memorial Day weekend added to a pretty successful 1980 season. Gawlinski would capture the annual Lee Schuler Memorial 50 lapper at Grundy three times, ending up with a career total of 32 feature victories at the Morris oval. Gawlinski’s last of nine track titles at Illiana would come in 1996. He would end up scoring a total of 131 feature wins on the sometimes quirky and old paved Illiana surface. Gawlinski was the second-ranking driver at Illiana in 1997 and eighth in 1998 — his final year of competition. 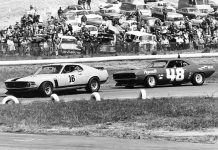 Stan Kalwasinski has been involved in auto racing for nearly 50 years as both a writer and photographer. He has a particular interest in Chicagoland auto racing — primarily stock car racing. Look for him at tracks in the Chicagoland region of Illinois.